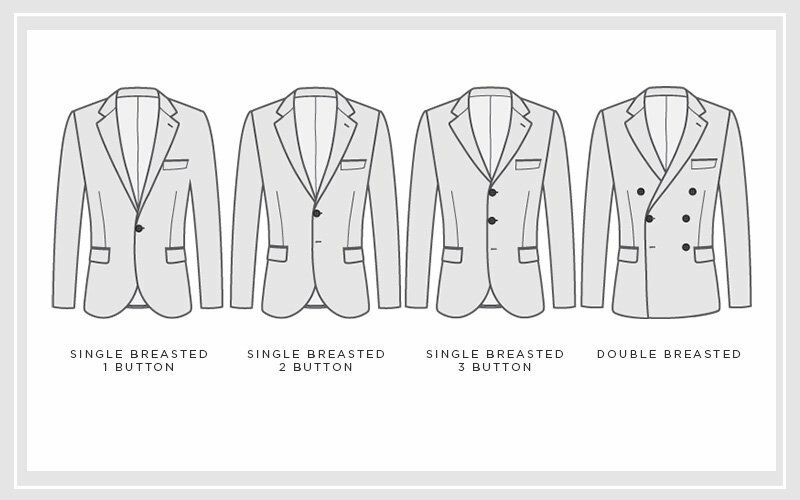 For some, concerning themselves with the buttons of a suit might seem like splitting hairs, but all guys should know how to differentiate between the different suit options. 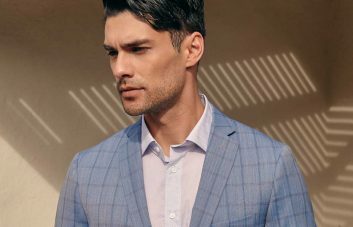 Whether you’re wearing your suit for a formal event, business meeting, or date, knowing more than just the basics can help you wear the right thing for the occasion. Remember, excellence is in the details. 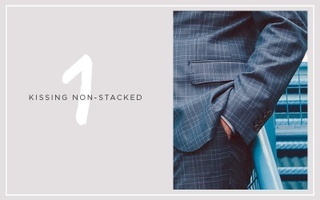 Traditionally, double-breasted suits are more formal and have the suit pieces overlapping when they are buttoned together, whereas a single-breasted jacket will simply bring the two pieces of the suit together. Keep in mind that a double-breasted jacket can have up to eight buttons, and a single as little as one, so it usually comes down to personal style. Single-breasted one-button: First and foremost, as a standard rule, it is proper suiting etiquette to have your suit buttoned when you are standing or walking, and unbuttoned when sitting. With a one-button suit, this is your only and easiest option. 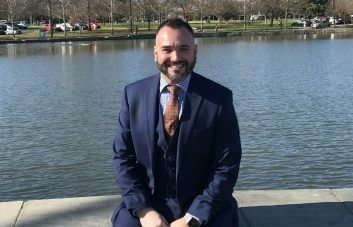 Single-breasted two-button: If you’ve ever done up both buttons on a two-button suit, you’ve probably noticed that it both looks and feels odd. To avoid your suit looking like it is pulling, only have the top button done and leave the second one alone. Single-breasted three-button: The more the buttons, the more options you have. With this one, you can just keep it simple by buttoning the middle one, or you could also button the top two. Remember, as with two-button suits, leave the bottom one undone. Now the type of buttons you have on your suit may just be a matter of personal style, but you still want to be informed. Bullhorn buttons are commonly seen on standard suits, and can sometimes be confused for plastic, so make sure you check. Leather buttons are often paired with thicker suit coats such as tweed or wool, and tortoise shell buttons looks best with navy or charcoal suits. Let’s make this easy as possible. Non-kissing cuffs are when the buttons have visible space in between. Kissing non-stacked buttons are when the buttons are touching but not overlapping. And kissing stacked buttons are, you guessed it, buttons that are touching and overlapping. Stacked buttons are more common with handmade suits, but this one really comes down to a matter of personal preference. 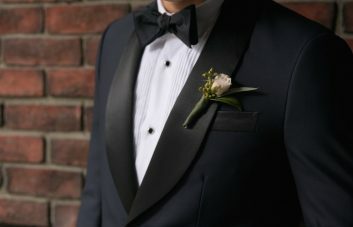 If you really want to get down with the details, go for a suit with a buttonhole color. This can either be a completely contrasted color (think navy suit with white buttonhole) or it is sometimes a color picked up in the fabric of the suit. It is usually found in the first buttonhole on the cuff or on the lapel.